atty4homeowners: Your Basement Should Be In Pictures (And Videos)! Your Basement Should Be In Pictures (And Videos)! Unfortunately, many of you will have leaky basements this week. The snow is slowly melting in southeastern Wisconsin, causing the water table to rise. 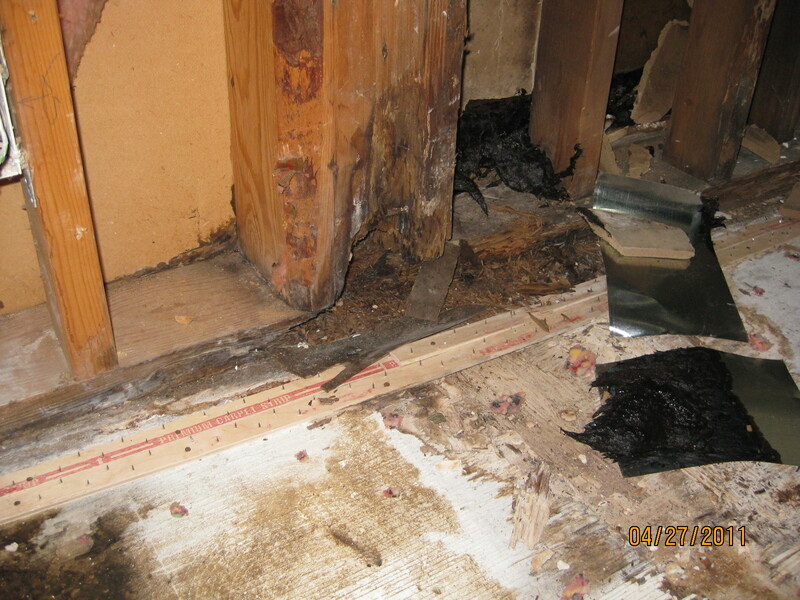 Add over a inch of rain in many areas over the past weekend, and you have a perfect recipe for a leaky basement. As I advised in this previous post, you need to take photographs and videos of the water in your basement. Photographs and videos MAKE or BREAK a leaky basement case. If you have awesome photographs and videos, your sellers will be forced to explain how the conditions depicted therein just magically appeared after they transferred title to you. Your case should settle on favorable terms long before trial. On the other hand, YOU will be on trial if you do not have any photographs of the alleged leaky basement. The sellers' attorney will call you a liar, especially if you claim that there was standing water throughout your basement or property damage. This advice applies even if you're not considering civil litigation against that "nice old couple" that sold you your home. You should still take photographs and videos because you might have a homeowners insurance claim, particularly if you have a sewer backup or sump pump overflow endorsement. Capture any damaged personal property, such as furniture, exercise equipment, entertainment centers, musical instruments, wedding dresses, etc. Videos of water leaking into your basement or of you cleaning it up are even better, but PLEASE resist the temptation to narrate your video. In the heat of the moment, you will inevitably say something that we will not want the jury to hear. You may fault yourself for not discovering or further investigating this issue prior to closing. You may make derogatory or sarcastic remarks about the sellers, real estate agents, or home inspector. You may use profanity. These are all natural responses in the heat of the moment, but they risk offending the jury. You will have a chance to narrate your video and/or describe what you were trying to depict at trial. I was called in 3 times last week to inspect the basements on homes that were recently purchased and water entry was occurring. The first thing I do is review their home inspection report. Over the years I've learned that when buyers discover water entry occurring in their recently purchased home their emotions get the best of them. They forget they had a home inspection. It's the buyers responsability to properly maintain their home. Any exterior maintenance recommendations their home inspector pointed out to them should completed. Very often, completing those recommendations will solve their problem. Chuck, I agree with this as I imply at the end of "Do You Really Need Me? ": http://atty4homeowners.blogspot.com/2013/02/do-you-really-need-me.html. Regardless, it's critically important for homeowners to photograph their leaky basement in case exterior improvements do not solve the problem and more expensive repairs become necessary.